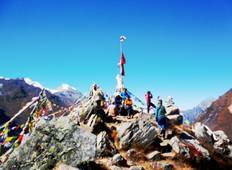 Find the right tour for you through Kyanjin Gompa. We've got 57 tours going to Kyanjin Gompa, starting from just 8 days in length, and the longest tour is 19 days. The most popular month to go is May, which has the most number of tour departures. 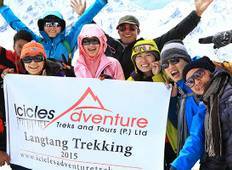 "It was wonderful time :)"
"Our Langtang trek was a fantastic trek. We, four Germans travelled for all total..."